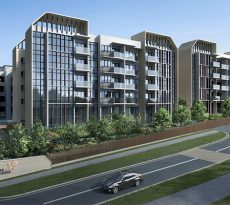 Normanton Park is a new and upcoming deluxe condo, located in Normanton Park in the prime District 05. 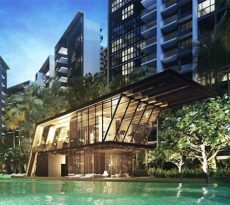 Developed by the renowned Kingsford Huray, the condo is set to be one of the most sought-after properties in the region considering its convenient location, extensive amenities and serene environment. The entire Normanton Park development will comprise 1864 premier condo apartments, 19 strata landed houses and 8 commercial shops. Buyers wishing to invest in the apartments can choose from 1 to 5 bedroom units, some that come with study and premium options. Those on upper storeys can enjoy unobstructed views of the Kent Ridge Park and the pond lying nearby. Normanton Park sits just next to Science Park drive, which is connected via a roundabout that’s interlinked with Portsdown Road. The condo is also close to a number of transport amenities that make moving around convenient. For those hoping to use road as mode of transport, the Ayer-Rajer Expressway (AYE) and the Central Expressway (CTE) are located a tiny distance from the development. Residents can literally get to Orchard Road and the Central Business District (CBD) within a few minutes. There are three MRT stations located near the condo: Kent Ridge MRT (1 km), Haw Par Villa MRT (1.1 km) and Pasir Panjang MRT (1.2km). The convenient location of these MRT stations means access to other parts of the island will be quicker and easier. Access to education is one of the key aspects people consider when looking for a residential home. With many prestigious schools-both local and international-available within Normanton Park close proximity, taking children to school or enrolling for a course is way more convenient. Residents of Normanton Park will have plenty of options when it comes to shopping for general stuff and specialty goods. Anchorpoint Shopping Center lies just 1.6 miles from the residence while the West Coast Plaza and Harborfront Centre sit 3km and 4 km away respectively. When it comes to shopping for foodstuff, residents can go to the nearby Mei Chin Block Market, Alexandra Village Food Center, Tanglin Halt Food Center and Commonwealth Crescent Market. Other food centers are ABC Brickworks Centre and Redhill Lane Block 79 Market. 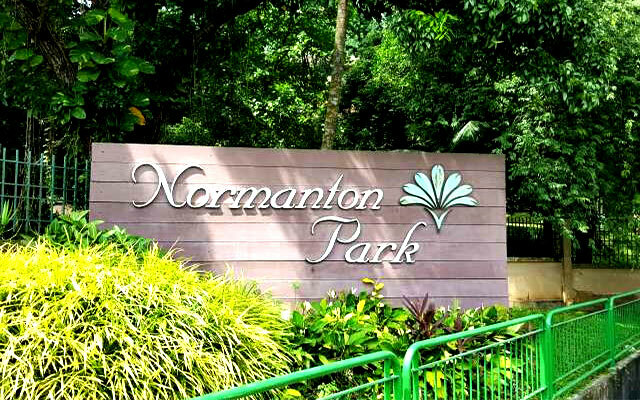 First of all, Normanton Park is located in a serene and relaxed setting, which creates a feeling of living in a high-end resort. 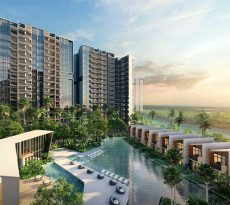 Residents can enjoy the engrossing views of the nearby Kent Ridge Park, even as they breathe in fresh air from their rooms. Some of the fun-filled nature parks that are easily accessible from the residential development include Telok Blangah Hill Park, Singapore Botanic Gardens, Hortpark and the West Coast Park. Sports enthusiasts can visit the Queenstown Stadium, Tamasek Club, Queens Townclub and Delta Sports Complex and the Tanglin Public Golf Course, which are located a tiny distance from Normanton Park. The prestigious Normanton Park was sold to Kingsford Huray Development at a whopping cost of $830.1 million. There was also $231.11 million additional payment to be made as top up to the 99-year lease. Now, factoring in other costs construction, legal fees, marketing among others, the estimated breakeven price comes to 937 psf ppr. The average pricing at its launch in 2015 was $1,100 psf. The prices for the condo have been increasing since then. You can request the correct price estimates from Normanton Park developers at the very time you want to buy a unit as prices keep shifting due to market sentiments. When looking for a home loan, what any potential home buyer or investor would want is secure that loan in fast, reliable and cost-effective manner. Fortunately, that is what iCompareLoan Mortgage broker is all about and we are at your service. Whether eyeing a new loan or re-finance, our platform makes it easier for you to compare home loan Singapore, find favorable packages and get straight to processing the loan. We work with several top lenders in the country, which means you have varied options to choose from. Our processes are easy to follow through and you’ll get your home loan early enough or just in time for you to make the purchase of desired residential unit. And what’s more, our service to you is absolutely FREE!